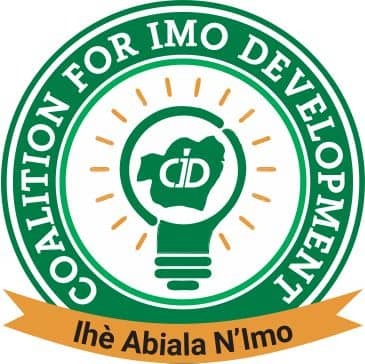 A Non-Governmental Organization (NGO), based in Owerri, under the aegis of Ihe Abiala N’Imo, also known as Coalition for Imo Development (CID) which is committed to the enthronement of good governance and purposeful leadership in the state, has disassociated itself from a radio jingle “Ihe Abiala N’Imo”, said to be sponsored by the YDP governorship candidate in Imo state, Evang. Myke Ikoku. In a press release signed by Prince Chidi Obi, the Director of Media and Publicity, stated that, the attention of the group was drawn to a radio jingle, alleged to be sponsored by the governorship candidate of the Young Democratic Party (YDP) in the state, Evang. Myke Ikoku, unbehalf of the group, which he stated to be an affront. He could not believe a candidate could make such claims. The release therefore stated categorically that, Ihe Abiala N’Imo is a duly registered organization and has not adopted the YDP governorship candidate, or any other candidate for the March 2ndgovernorship election, for that matter. The release maintained that the group is currently pre-occupied with the business of enlightening the good people of Imo state on the need to collect their Permanent Voters Cards (PVCs), in order to take active part during the 2019 general elections. The group therefore stressed that, the said radio jingle sponsored by the YDP governorship candidate, did not emanate from them and does not represent the group in it’s entirety. It therefore called on the good people of Imo state to remain resolute and as well ensure that their vote counts.